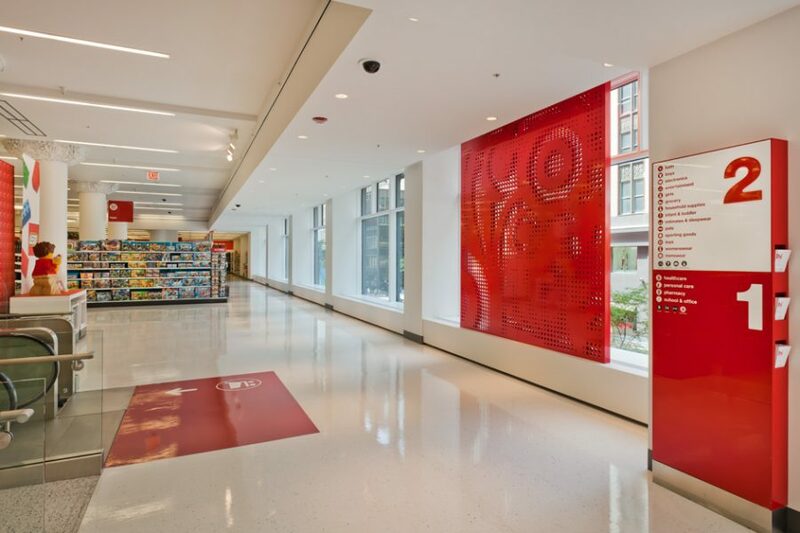 With few exceptions, Target stores are not historically found in core urban areas. 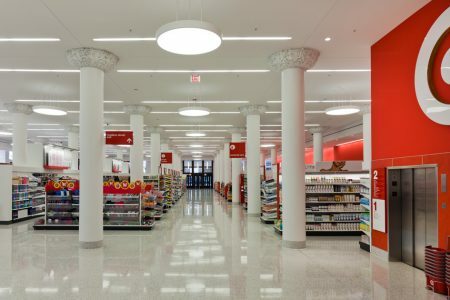 The retailer is changing that. 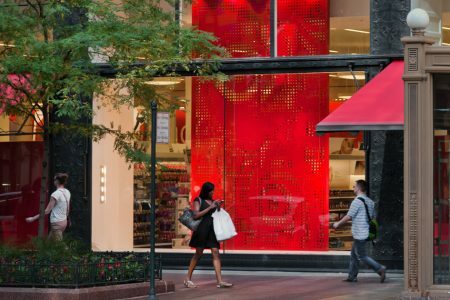 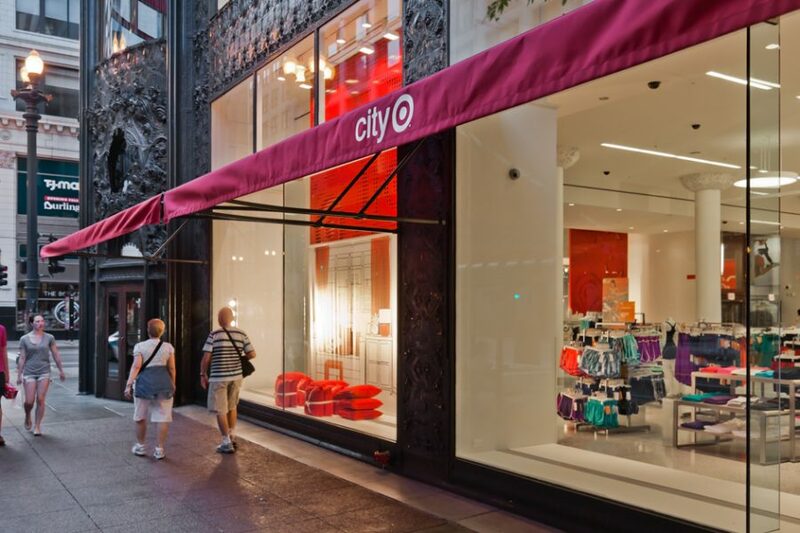 The first CityTarget debuted on State and Madison Street in Chicago. 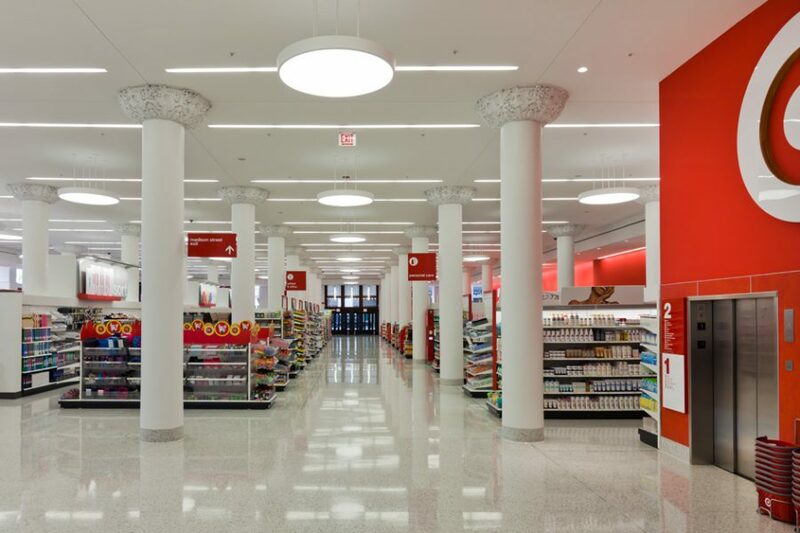 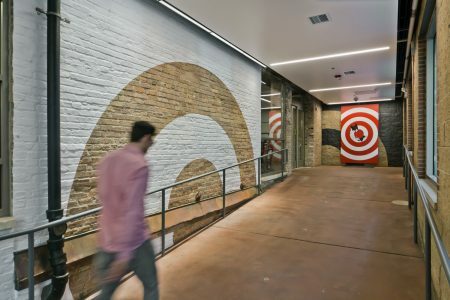 Located in the iconic Sullivan Center, a U.S. historic landmark built in 1899, RSP collaborated with Target to design a new store that preserves the building’s original charm, while adding flourish and functionality. The assortment of odd corners and interesting spaces are preserved. 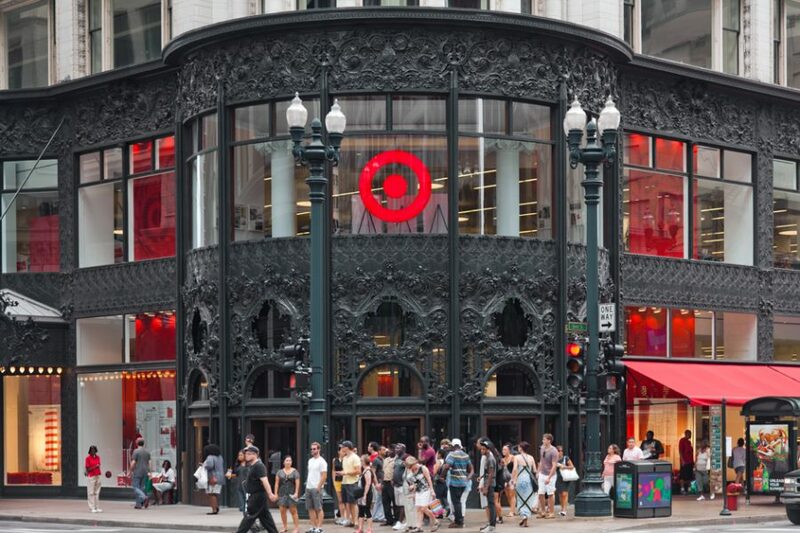 Intricate white columns were restored. 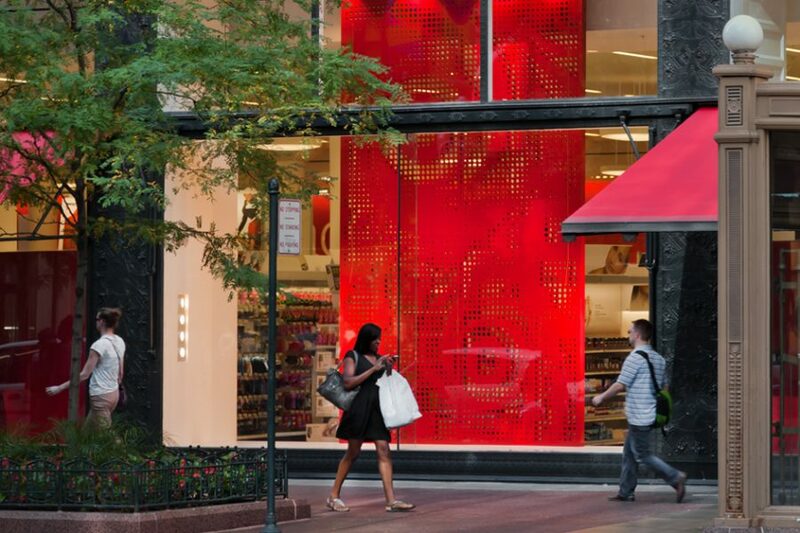 Large panes of glass were inserted to add vibrancy at the street level. 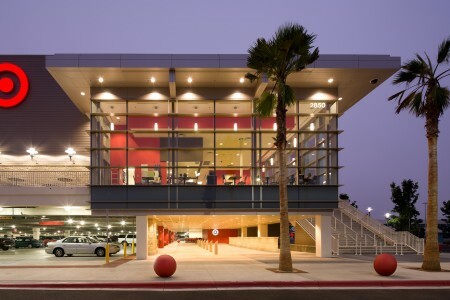 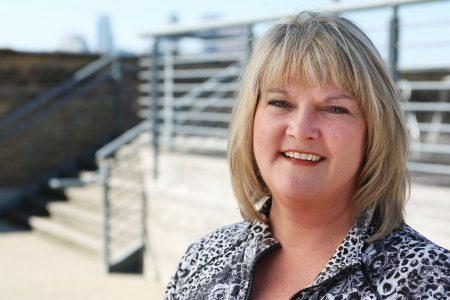 At 124,000SF, the designers had to make the most of the relatively smaller footprint. 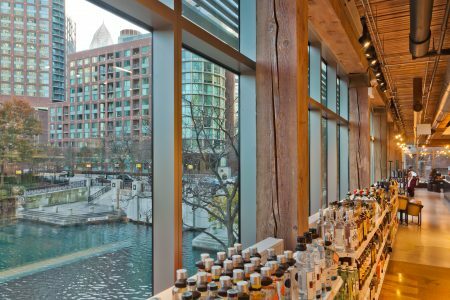 It’s a big box store within an urban landmark experience.